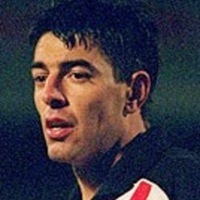 ‘Flacky’ was something of cult figure at St James’ Park during his ten years at the club, which earned him a testimonial match. 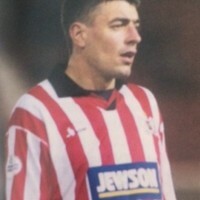 He started his football career with village side Foxton, before linking up with Cambridge City in August 1994, but was then snapped up by Cardiff City for £10,000 in November 1995. 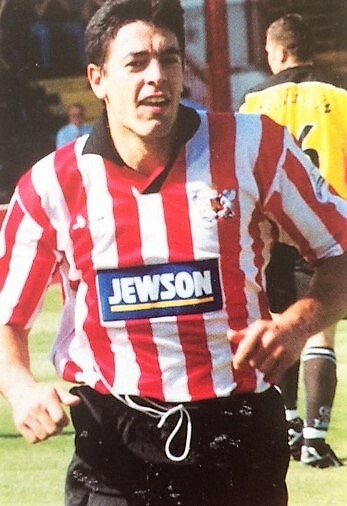 Although he only played 11 league matches, and scored once for Cardiff, Exeter City then parted with £10,000 to bring him to Devon in September 1996. 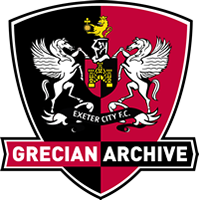 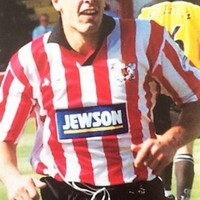 His debut came against Brighton and Hove Albion, the Grecians winning 2-1. 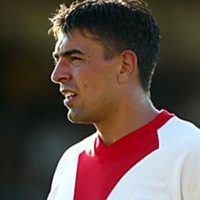 During his time at St James’ Park he had been linked with moves to several clubs, notably Hull City who offered a six-figure fee. 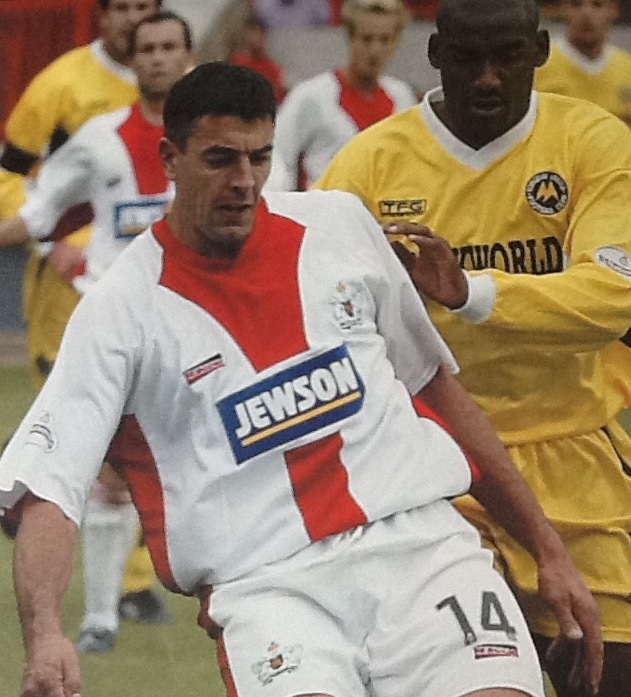 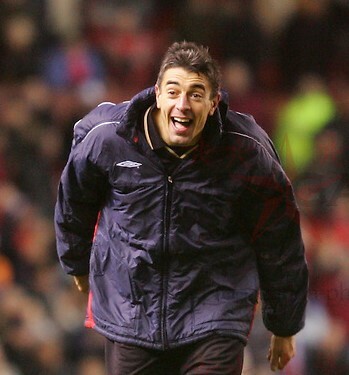 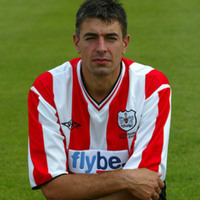 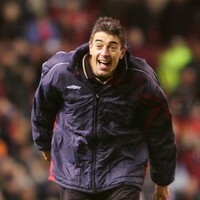 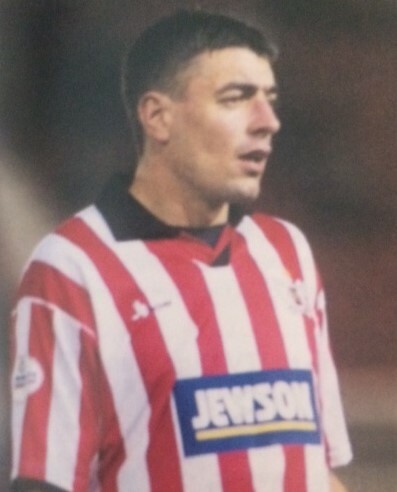 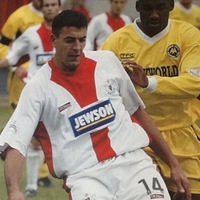 In his final season at Exeter he was increasingly used as a squad player, with most of his appearances coming from the substitutes bench, and he was released on a free transfer in May 2006. 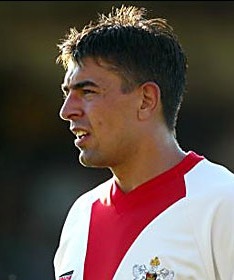 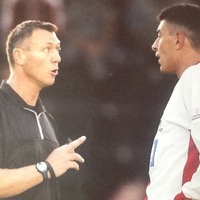 He had the distinction of scoring City’s last goal in the Football League against Southend United before the club were relegated at the end of the 2002-03 season to the Conference. 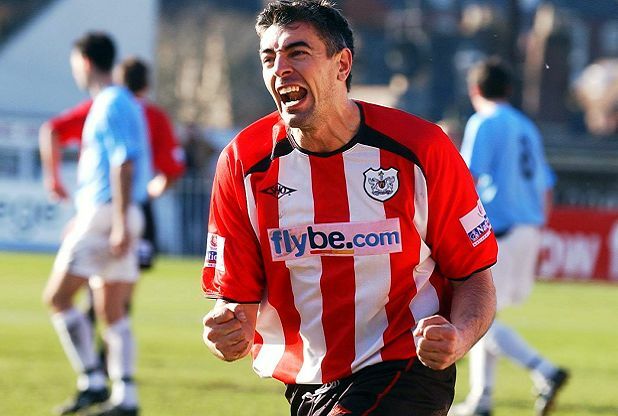 He also netted City’s first ever goal in the Conference against Halifax Town. 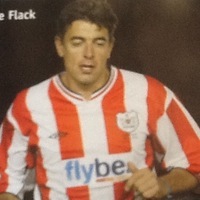 Flack signed for Tiverton Town in May 2006, taking on coaching duties as well. 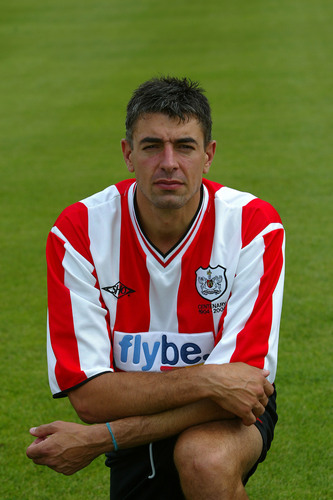 But in December of the same year he joined Conference South club, Dorchester Town. 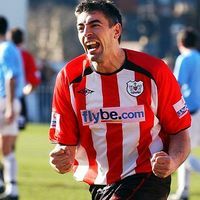 By 2007-08 he was playing for Devon and Exeter League side, Tipton St John and was still doing so in 2010-11, whilst working as a builder. 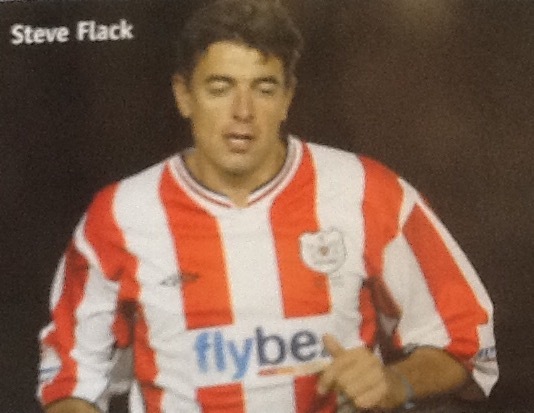 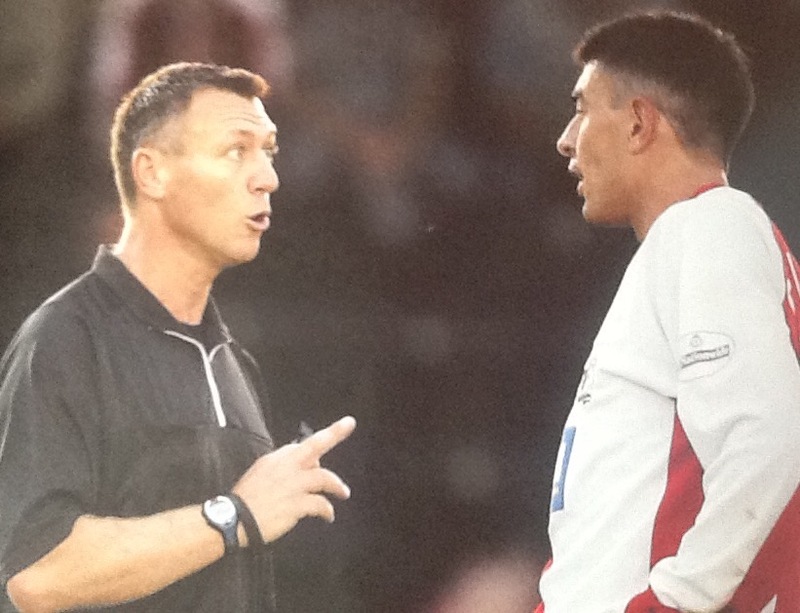 He joined Axminster Town as player-coach in January 2011.